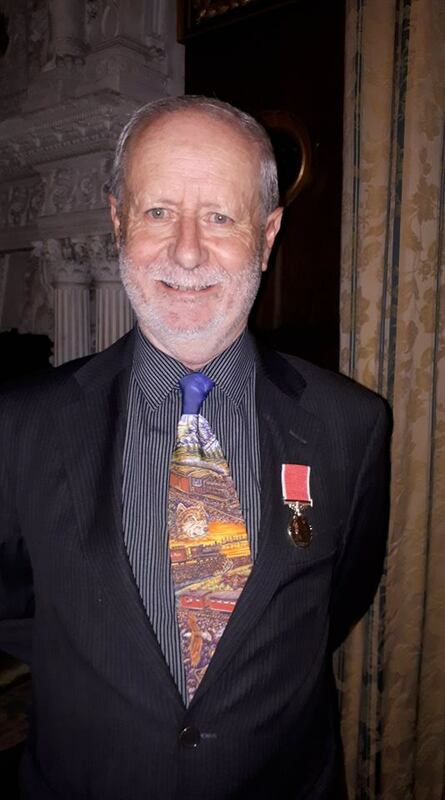 We are pleased to advise you that our Chairman, Jim Allen, has been awarded the British Empire Medal (B.E.M.) for Services to the Community in Byfleet. Congratulations Jim from us all, richly deserved. Thank you for a lifetime of service to Byfleet. Jim Allen produced a book - Byfleet and the Great War in 2014 to mark the centenary of the start of WWI. Now, to mark the Armistice, he has produced a second edition including the large amount of additional information that has come to light in the past four years. Essential reading, see below for full details. will be on the 4th May. We will also be arranging a number of coach trips throughout the year and look forward to seeing you there. Those currently planned are Kew Gardens (23rd May)- Tickets (�) now available from Mary McIntyre � 01932 341586, Eastbourne (25th July), Salisbury (12th September) and the London Lights (12th December). Full details, with dates, will be on the web site's Diary Page and announced at meetings when available. See the Diary Page for full details. The Byfleet Heritage Society St. Mary's Churchyard project. 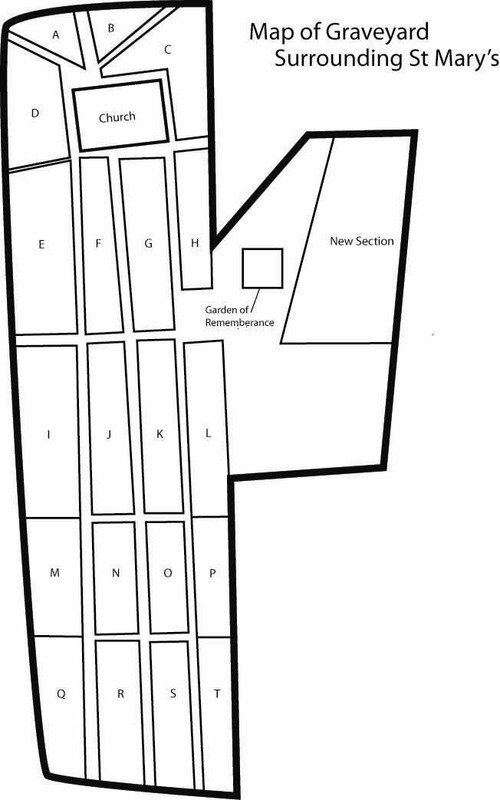 Click on the Church map, left, to search the Churchyard database for a burial location. The Byfleet Heritage Society has been working on a project to identify, collate and record all of the known records of burials in St. Mary's Churchyard. The Society was delighted to receive a grant from Surrey County Council to commission the development of an intereactive map and underlying database so that anyone interested may find the location of an individual's grave. There have been around 3,000 burials in the churchyard, of which we have identified some 2,500 so far, the earliest of which dates to 1702. 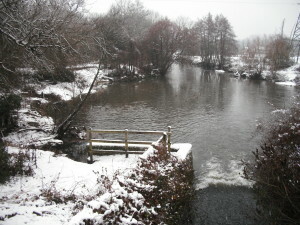 Work will continue on this project and we would always be delighted to receive information to add to what is known. Click HERE to see some photographs from the launch. St. Mary's Church from the air. With the Rector's permission Andy Lambert has made a high quality drone video camera survey of the church and churchyard. This was done shortly before the leaves came out on the trees and also features a re-creation of the 1932 aerial photo from the BHS archives and the only known photo of the Vickers Warwick which forced-landed in the adjacent Three Acre Field in 1945. 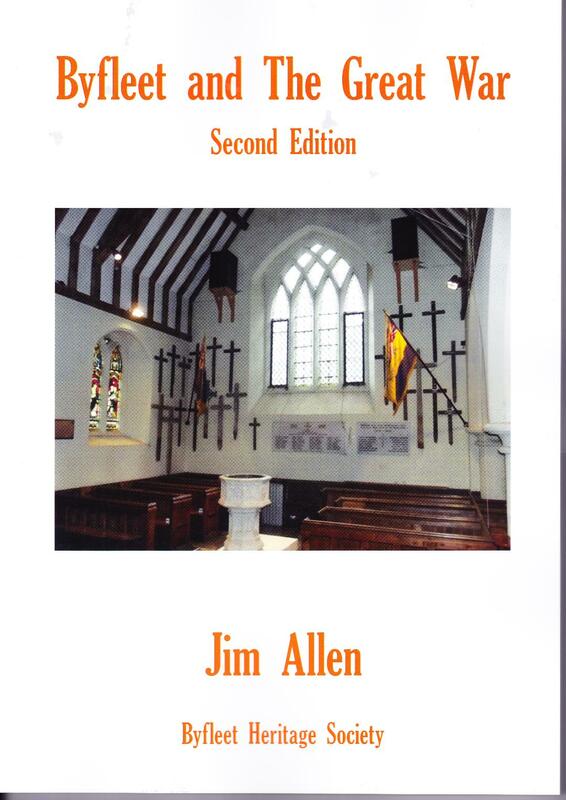 The new book, Byfleet and The Great War (Second Edition), by Jim Allen, is now on sale. This is a fully revised edition to mark the Armistice. It is about 200 pages in length with photographs and packed full of information. or by post (UK P&P �60 1st class, �10 2nd class)- email . We are trying to put together a list of all known paintings by renowned local artist, John BRANGWYN. Please email if you know of any. 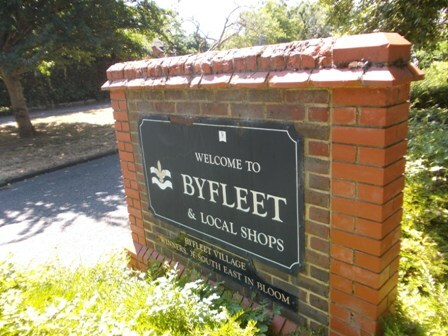 The Society is interested in researching, recording and disseminating the history of Byfleet. Monday - Closed; Tuesday 10am-4pm; Wednesday 6pm - 8pm; Thursday 3pm - 5pm; Friday 10am - 4pm; Saturday 10.00am - 4pm; Sunday 2pm - 4pm. We have included a number of links to some related sites here, and will gradually add more - suggestions very welcome. Byfleet's first blue plaque - to the STOOP family. 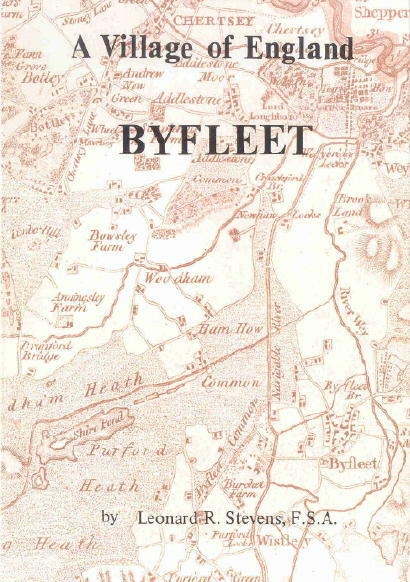 Reprinted by the Society after almost 30 years, this superbly researched history of Byfleet is now available for only �95. Read all about Byfleet's royal connections throughout the centuries, from The Black Prince through to James I and Anne of Denmark. Click on the image to the left to see a larger version. Please email me at if you would like further details. Please contact us at if you would like further information.